Every season ought to be a season of love and the best expression of love is through giving. 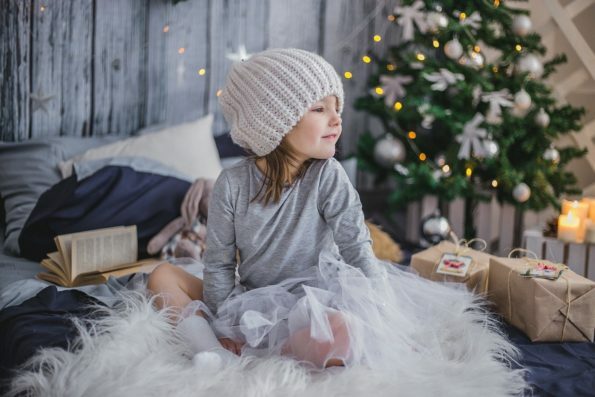 In most instances, families tend to wait until the Christmas season or during Halloween to give out presents to little ones but we fail to understand that those are just ceremonial expressions of love. True love is borne out of spontaneity and that is why you should begin to think of getting something for your young siblings at the moment. It is not enough to help your younger one with her chemistry homework. However, the task of getting something for your younger ones may be an arduous task as human beings usually outgrow their desires, for example, a child will not enjoy ride on cars for kids forever. This means that what they may have been stoked to get in the previous year, may not hold the same high allure for them when you try to get it for them. However, there are some gifts that are ageless and will never cease to thrill your younger ones when you get it for them. This article will be giving you five of such gifts and hope that you immediately take a walk to the nearest store to get them or simply order for them online. Without further explanations, let us see five gifts that will be amazing for your younger ones. A Dog – Dogs are human’s best friends and they can be the best gift that you may get for your younger one. Just imagine yourself stepping through the door with a golden Retriever pup in your hands. Then imagine the joy that would light up on the face of your younger one when you place that dog into their hands. That joy is incomparable because your younger one will feel like parents feel when they hold their newborn in their hands after birth. You could decide to go for any breed of dog or you may play some videos and note the kind of dogs that your younger one prefers. In getting a dog, you will be providing a playmate that would keep your younger one busy while you are not around. A dog would also be a makeshift guard that would always attempt to protect your younger one when there are dangers around. Also, getting a dog would help to build your younger one’s self-confidence as they would have a companion who loves them and always believes in their capabilities. However getting a dog as well means that you are getting a new member of the family who can engage in odd jobs around the house like getting the early morning papers from the door and other activities. Video Games – A video game remains one of the best gifts that you can ever get for your younger one. Ever since the dawn of man, we have always loved playing games. Our love for games led the Greeks to institute the Olympics, which is usually held every four years for more than a thousand years now. As time progressed, we have created smaller games and this Internet age has witnessed the rise of numerous video games. In getting a video game, there are many options that will be presented to you upon inquiry. You could decide to go for PlayStation 4, Xbox, Nintendo as well as other game consoles. Then after you purchase the game console, you can proceed to buying the games, which include Call of Duty, FIFA 2019, Pro Evolution Soccer 2018, and other games. However, in buying a game for your younger one, you have to make good research. The reason is that there are many video games being released that encourage violent activities, crime as well as violence against women. In order to help your younger one avoid such vices, you should go for the friendlier games that will help him or her develop good mental skills as well. Make sure you surprise your younger one with a game today, and watch how much they would love you the more. However, while giving them the game as well, you should make them understand some ground rules which must be followed and one of those rules is that game time must never interfere with the period for homework. With the rules out of the way and game time drawn up, leave them to immerse themselves in the world of video gaming. Headphones – The gift of a Headphone is a like the precious gift of privacy. Gifting a headphone to your younger one means that you want them to fully experience the beauty of their music and they will be grateful for that gift. Even though you may need to shout more to get their attention in the future, you would be putting a smile on their faces with the gift of headphone such as Beats by Dre and others. Chess game – This gift comes into the list because some kids love games that challenge their intellect. In this, they can be able to engage fully in their homework without requiring the use of paperhelp Also, getting a game of chess means that you are providing an opportunity for the family to bond on a physical level. How Can I Stop My Dog from Destroying My Cat’s Toys?